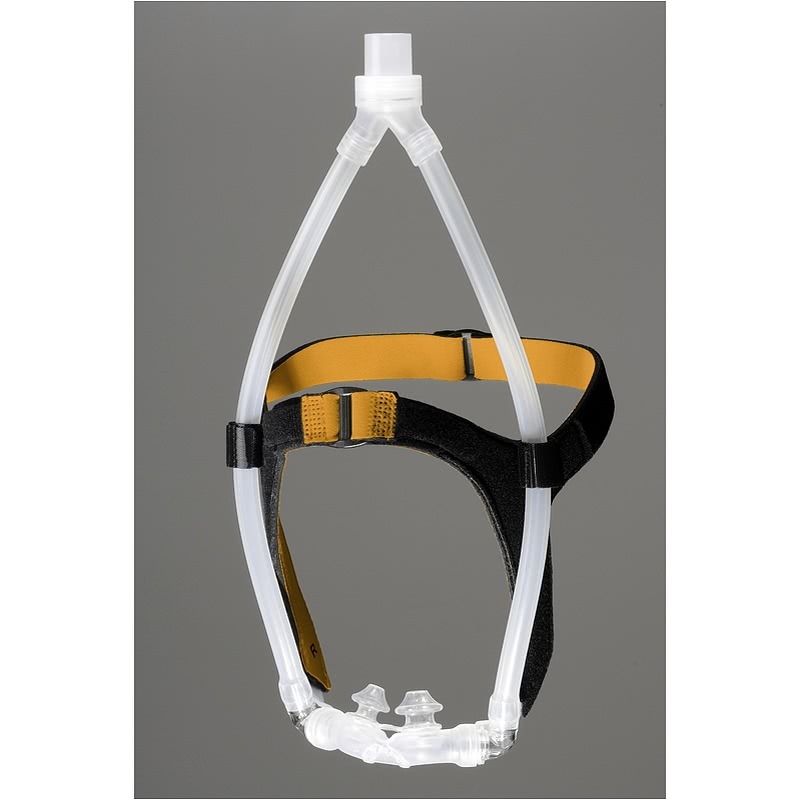 " It took about 10 minutes to fit, and solved the leaking probem my old nasal mask had. Worked like a charm. " 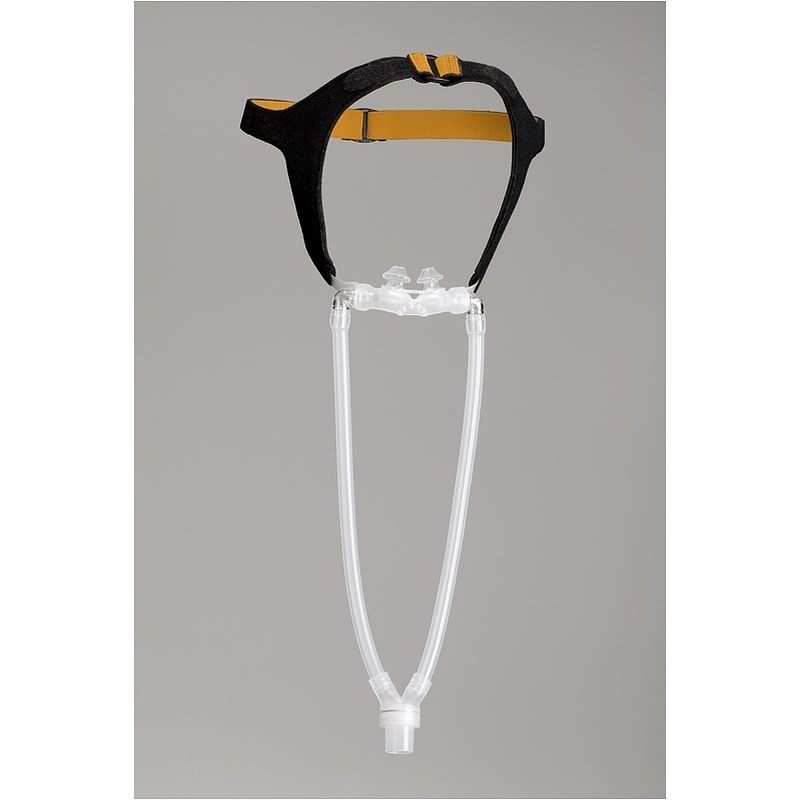 " Great product, comfortable, easy take-along for travel. 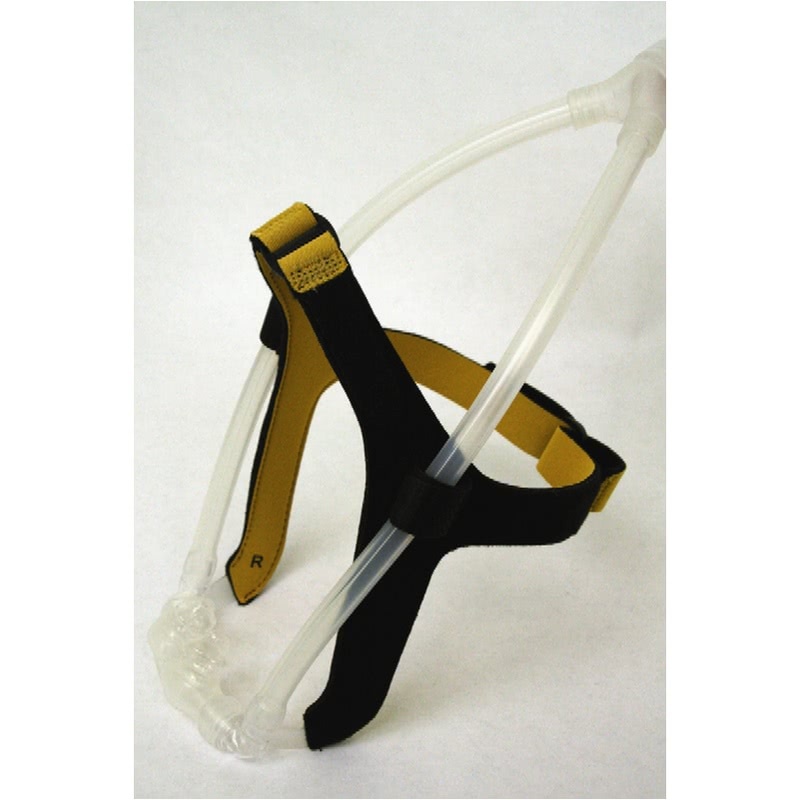 Prefer over the full or nasal masks. Highly recommend. " 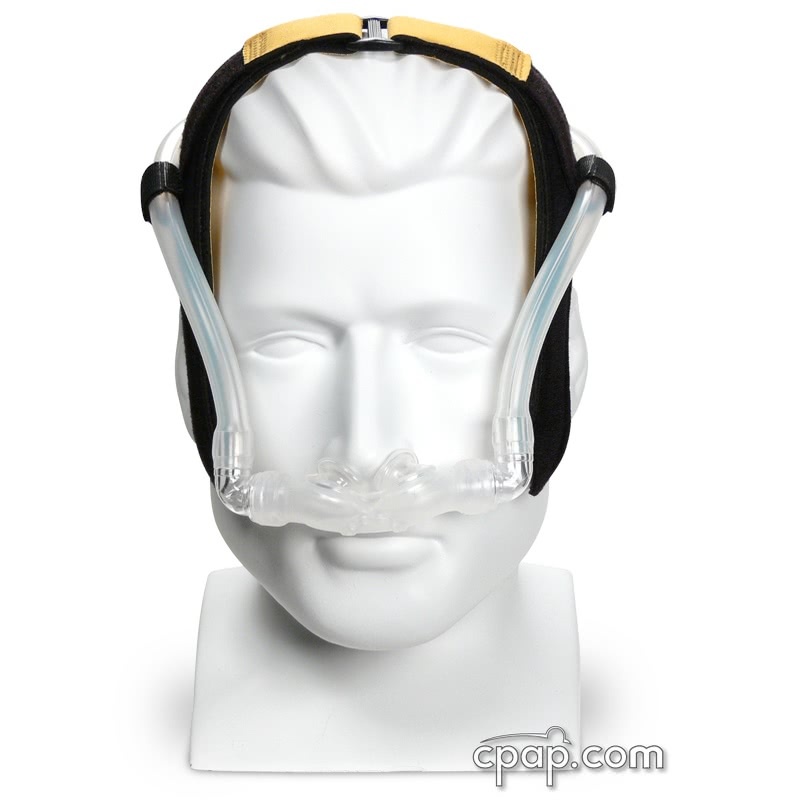 The Bravo Nasal Pillow CPAP Mask with Headgear is a mask that can be configured in multiple ways for better comfort. 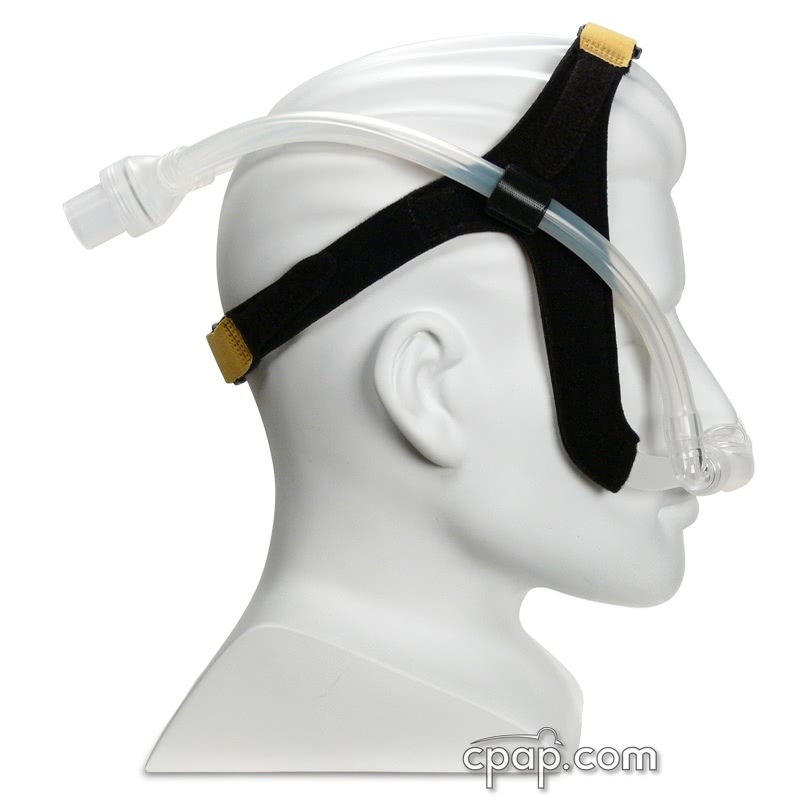 Three sizes of nasal pillows are included. 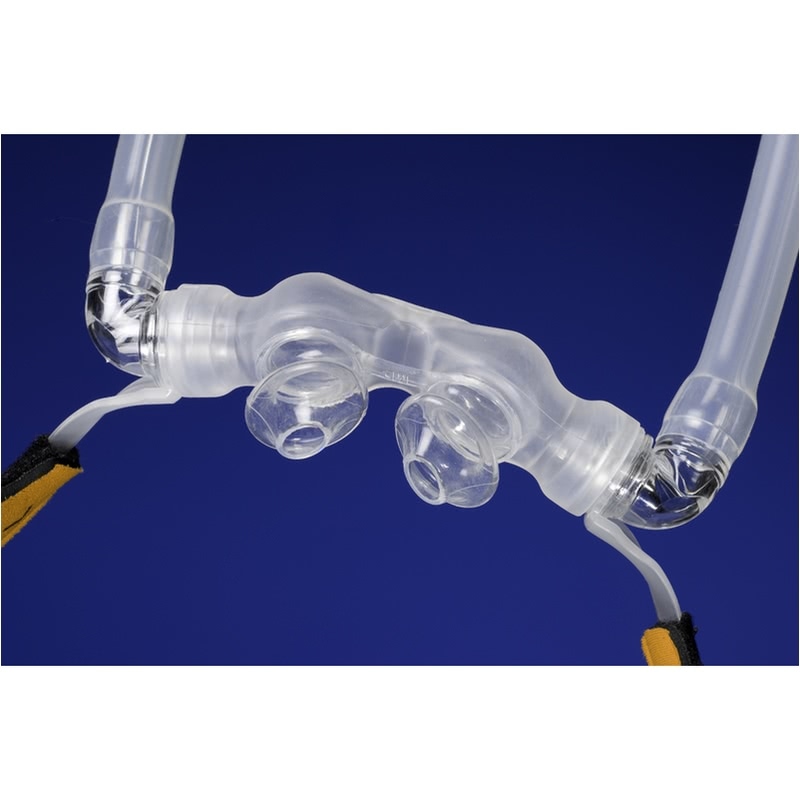 The Bravo is a unique development in nasal interfaces, strategically designed to promote patient comfort, allow for a clear field of vision, and provide the patient multiple wearing options. 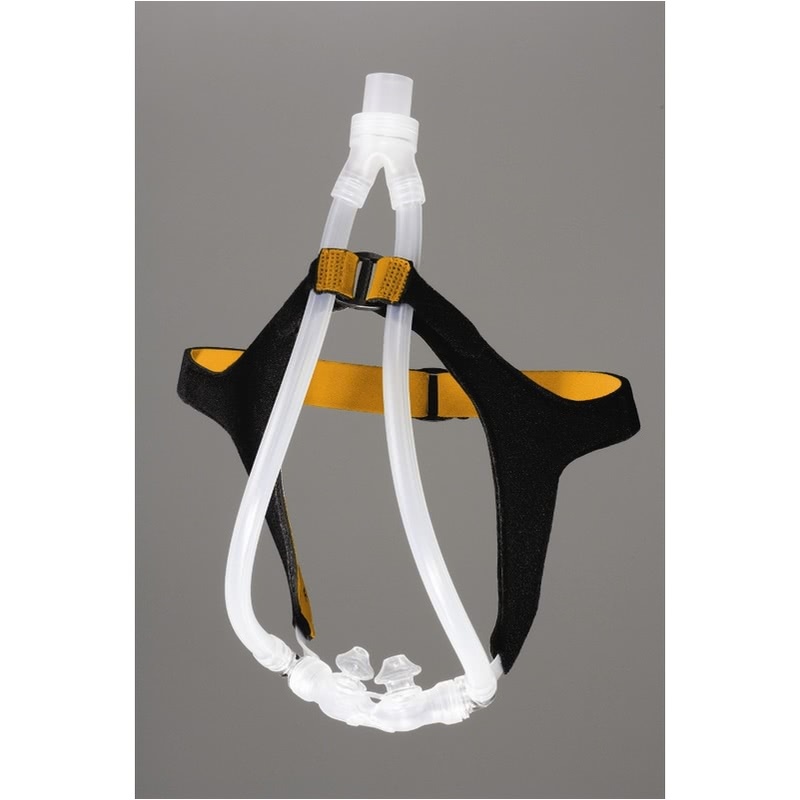 With its close fitting reservoir and secure headgear, this light weight interface can be worn over the head or on the chest, and will not interfere with wearing glasses, reading etc. The Bravo Interface features the versatility of interchangeable nasal pillows and adaptive-flow technology resulting in an extremely quiet sleep experience. The Bravo also show cases an unprecedented Active-Swivel to allow for multiple wearing positions resulting in the highest levels of comfort. 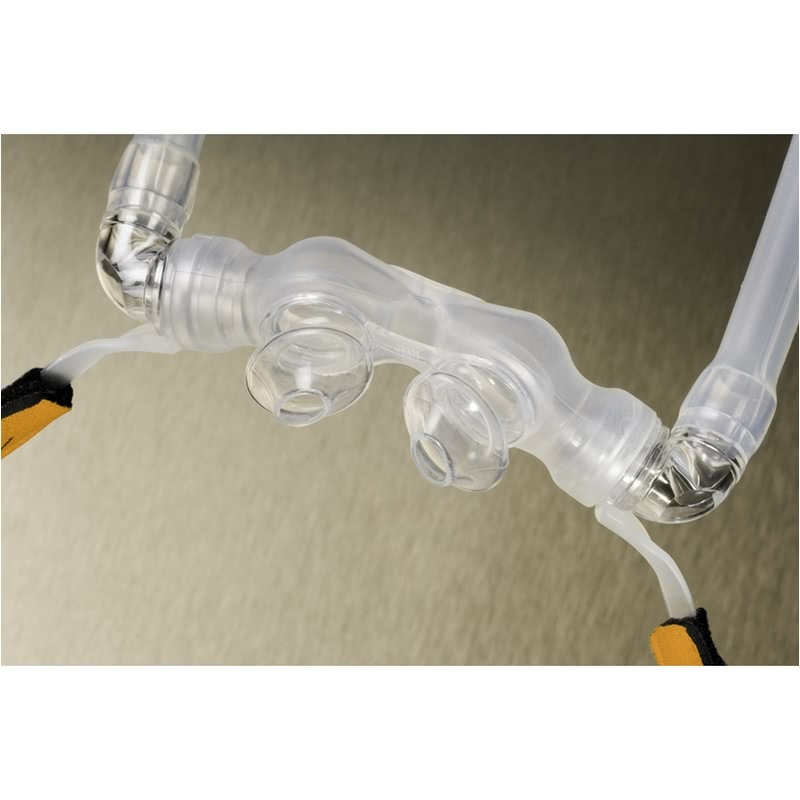 The Bravo Nasal Pillow Interface System contains all the components required to properly size the patient, eliminating the hassle of opening multiple products to get the right fit. 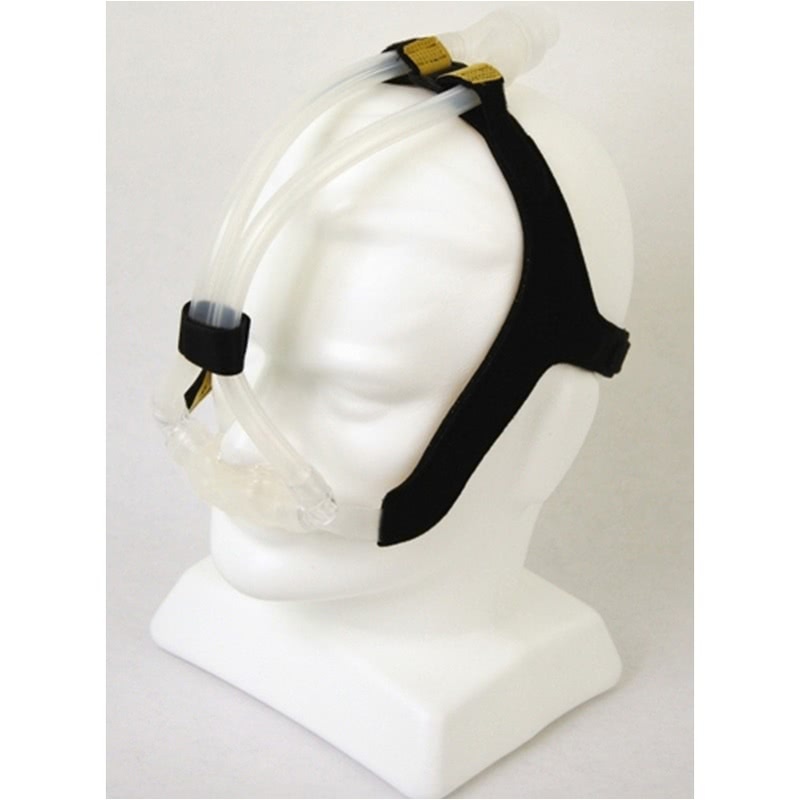 All of these features and benefits of this unique and innovative device are intended to result in new levels of comfort and compliance during the treatment of obstructive sleep apnea. 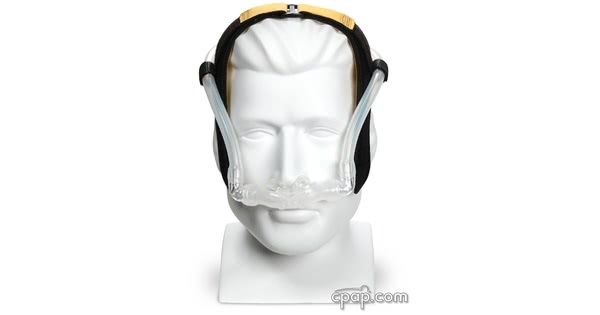 Includes Small, Medium and Large Nasal Pillows.